It’s the best of times, and the worst of times. You may feel like a bit like a Dickens character who’s been imprisoned from the light of day by the time mid-winter rolls around. Although this may be the worst time for outdoor projects, there are a few blocks you can check off and this could be the best time for it. Spring will have the inevitable backbreaking spruce-up on its heels, so getting some easy work done now will free up some of that valuable lower back muscle you’ll need for later. With the inevitable expanding and contracting of pipes, it’s a great time to look for those little leaks which could turn big when the spring expansion time rolls around. Fill up each sink in the house, grab the headlamp Santa left for you a few weeks ago, and survey underneath for any drops or small trickles. Then, open the drain and check again. If you spot a small leak, first try tightening all the all the connections and compression nuts to see if that’s the issue. 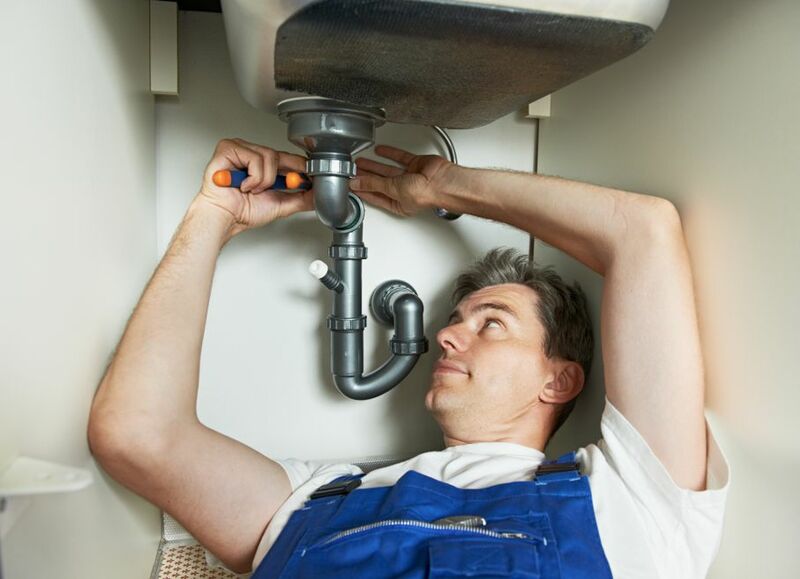 If you need to repair, shut off the water valve to the plumbing, then run the faucet to make sure all the water is out before applying any tape or epoxy. These simple repairs will cost some prep and drying time, but the supplies total less than $15. So, this is out an outdoor job, but a quick one. Frozen small branches and brush are much more forgiving in the winter, so survey the yard for those areas you are constantly fighting when they grow in the summer. A quick and painless death with a clipper or small saw sliced flush with the ground will save the large machete work this summer. You might want to think about clearing out an area for a new vegetable garden, outbuilding, or any of those other ideas you thought about last spring but never had the chance to get around to. It will be much easier to get started if the plot is all ready. We all know what might be crawling in there when you’re not, so this is a good time to check for any new entrance points, fresh evidence, or other signs you’ve got some returning customers you need to shore up. It can only get worse if you don’t, as those home crashers will bring the inevitable extended families, and you can easily seal the access points from the outside as well as inside. Expanding foam from a can is a great way to keep visitors out, as it seals up even larger entryways and isn’t susceptible to weather changes. It’s less than $4, and each can goes a long way. The warm dry air inside the house can make some annoying changes to your door hinges, knobs, and even door spring stops. It can zap the moisture out of the rubber and make your door’s hinges scare the soup out of you at midnight when the furnace kicks on. All you’ll need is some oil for the hinges, and the door stops are less than $2 if they need replacing. If your doors are the solid wood type, give them a little drink too with some lemon oil you can make yourself or buy for less than $5. These can all be accomplished easily in one day and just the thought of nasty critters and spooky, rusty creaks being nipped in the bud could undoubtedly make you rest a bit easier. If you finish up and still have some energy, check the drawer which never opens correctly, the loose stair rail, the loosely hanging cabinet door knob, or any other buzz kill irritant which only seems to get your attention when you’re in the middle of something else.